The Star Citizen backer community’s frustration with the game’s delays and constant pledge drives boiled over into open mockery today during a Cloud Imperium Games holiday livestream marred by technical difficulties, unprofessional presenting, and the conspicuous absence of new content. 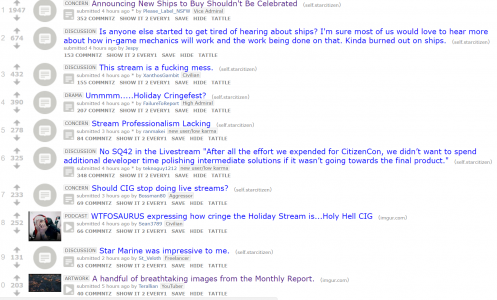 Even the Star Citizen forums were in uproar with thread titles like “The Livestream Is An Absolute Embarrassment”, “So Amateurish”, “Why not release a planet environment demo or other tech demo content?”, “I’m Embarrassed to Show My Friends This Livestream” and “y’know” (referencing the particularly annoying verbal tic of Tony Zurovec, Director of Persistent Universe). 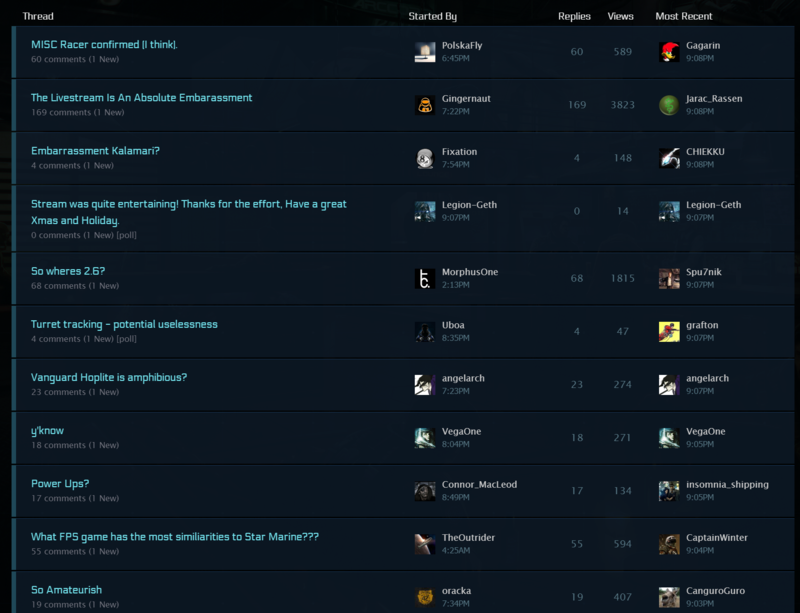 These critical threads were later wiped and replaced with a single stickied “Feeback on Holiday 2016 Livestream Katamarii” (in keeping with CIG’s moderation policy of quarantining all criticism into a single, easily ignored thread). 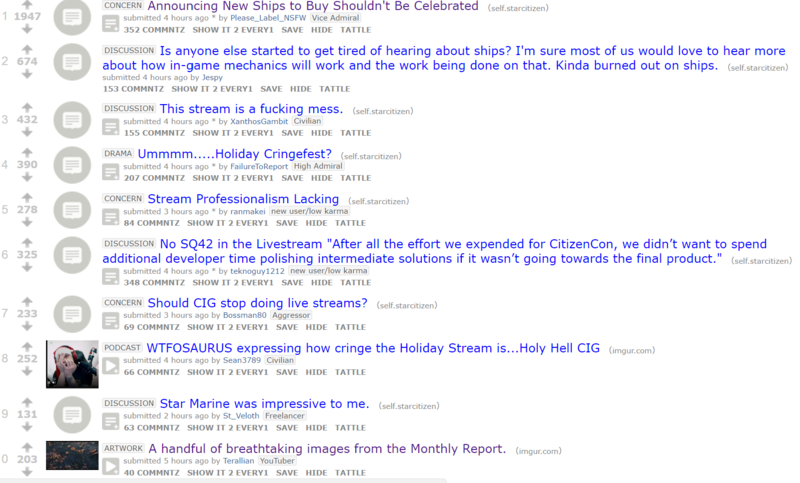 The /r/starcitizen subreddit was less restrained, pronouncing the livestream a “cringefest” and proclaiming, as if a stunning revelation that no one has ever realized before, that “Announcing New Ships to Buy Shouldn’t Be Celebrated”. Why were backers so frustrated? One reason was the presentation of the holiday livestream itself. The “anniversary” livestream a month ago was pretty bad, with a few glitches, amateurish presenting, and the general atmosphere an FPS eSports event where copious amounts of Mountain Dew would be chugged and Cheetoes glad-handed into gaping maws (think “The Tester”, or anything sponsored by Bawls Guarana). But it was still under the level of excusable, considering that it was run by people who are still essentially game developers and not TV producers. Unfortunately, rather than learning from the experience and doing a better job, with the holiday livestream CIG made all the same mistakes again, but worse. Sandy and Chris Roberts spoke into hot mics, handheld mics were not turned on before speaking entire paragraphs into them, and the tournament portions seemed to be filmed inside a storage shed. Presenters “umm”-ed and “uh”-ed and “y’know”-ed enough to fill entire minutes. But the bigger reason was the content, or lack thereof. A letter from the chairman emailed out before the stream notified backers that there would be no Squadron 42 material featured. Why, when during CitizenCon we were told that they were mere days short of a presentable vertical slice? After we made the decision before CitizenCon that the Squadron 42 vertical slice wasn’t ready to be shown publically, we spent some time on reviewing how far off we were and what we wanted to achieve in order to be comfortable showing a full chapter of S42 gameplay. After all the effort we expended for CitizenCon, we didn’t want to spend additional developer time polishing intermediate solutions if it wasn’t going towards the final product. A slick demo isn’t that helpful if it pushes back the finished game, so we decided that the priority should be completing full systems over getting the vertical slice into a showable state. Instead, backers were given new ships on concept sale (the MISC Razor racer), sales of ship “Armada” packages from the anniversary livestream that were brought back for a second round, and awkward pre-recorded comedy skits. Even the high notes were falling flat. 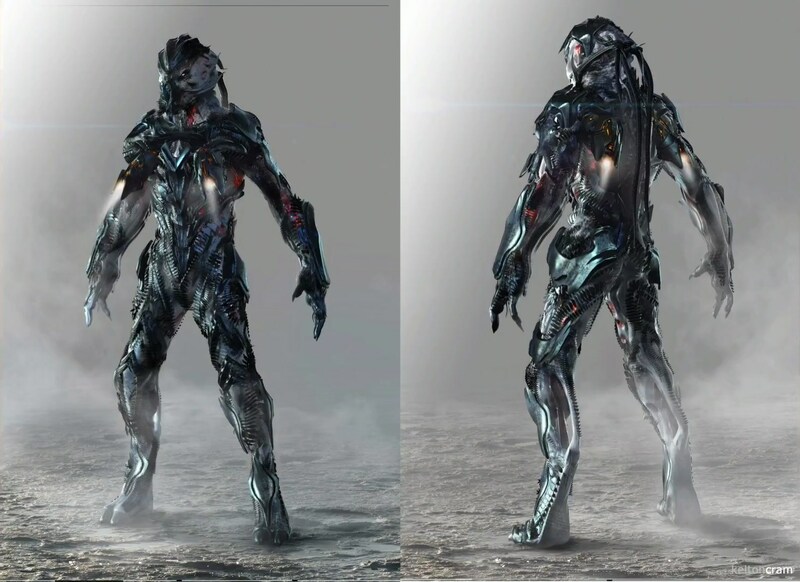 The reveal of new Vanduul concept art led not to the usual chorus of praise but questions about why we were now seeing concept art for the main enemy in a game that on many different occasions said to be nearing release in 2016. And that’s the most important thing, more than the production values of the livestream, it’s the goodwill of the community that seems to have suddenly bit the biscuit. After four years of delays, a lacklustre CitizenCon presentation, and more immediately the delays to the release of Alpha 2.6 (an update that includes no major new features or systems other than the “Star Marine” FPS module), the patience of the normally adoring fanbase is finally wearing thin. In the words of one reddit user, “your concept sales are starting to reek of desperation”. A video of the Vanduul “Driller” capital ship has also been released. It looks cool. A rebalance of ship combat that reduces ship and projectile speeds and removes the “cruise” flight mode, but makes afterburner bring you to cruise speeds, aiming to make combat more like boxing (up close and personal) and less jousting (“boom and zoom”). Pretty cool stuff, no real headline feature except Star Marine, but early reviews of the new ship combat balance are positive, with players noting that the slower, closer combat is a lot more visceral and fun. 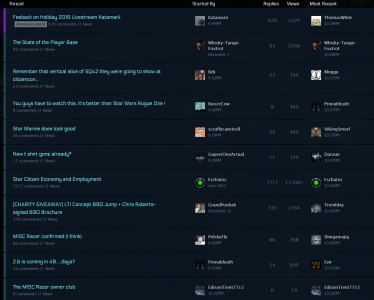 But a quick look over the “important issues” section of the patch notes shows that many features that were supposed to be in 2.6 are absent or broken in this build: the lobby and matchmaking refactors aren’t there, the Star Marine leaderboards and ability to select your loadout aren’t there, trying to access the new Arena Commander “Pirate Swarm” mode will throw an error, the new map loading system isn’t there, and, well, “scan is not complete, please refrain from using it (‘Tab’ key on default keybindings).” Who knows what will happen if you do. None of this is anything anyone is going to cry over, but it supports the idea that even after all the delays, this build had to be rushed out the door to placate backers after the livestream disaster. And in true Minitru fashion, the video of the holiday livestream was removed from the official Star Citizen youtube account. Brilliant reporting. I watched this along with you and I felt a whole lot more energised reading your write-up. I’d be interested to hear from the community of Star Marine shows any promise, but all the same, thanks for your excellent article! Yeah I’d be interested in hearing some Star Marine impressions too. I haven’t been able to fire it up yet. I found it funny that the author referred to Star Marine so dismissively twice (e.g. “no real headline feature except Star Marine”) when that’s like… a whole game in itself, and a huge, massive feature that has taken years to develop, and at one point had an entire game studio contracted to develop it. I tried Star Marine briefly last night, and it has some of the map design style I expect to see in Project Nova, the suit weightiness I recall from DUST 514, and absolutely the jankiness I remember from DUST 514. As a former DUST fan, I’m excited to play with it more. But 2.6.0k, the build I was playing last night, is still incredibly buggy, definitely at the level of bugs you expect from Star Citizen. It was super neat though, shortly after spawning in an in-progress match, to follow a guy through a blue forcefield and then realize I’d just left the station and was floating, and my first kill in the game was actually in space. And that was fun. I haven’t really had a good weightless FPS experience before, and I really thought that part felt really good, and really cool. Lot of potential, I feel like we’re finally starting to see what Star Citizen is going for, but there’s plenty of work left to do. I want to play a finished star citizen and enjoy it. I also kind of want it to go down in flames, the tears would be delicious. that you know there’s going to be big issues actually getting anything out the door. 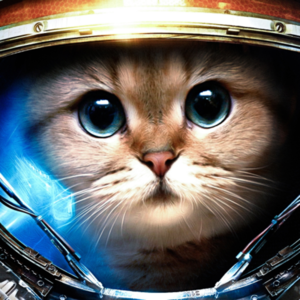 Yeah, I mean, I’m an early backer, and I backed to see them make a space game. Not a groundbreaking cinematic experience that blows out of the water everything real funded studios are doing. I give no shits about whether Star Citizen is “AAAA” quality, I just wanted to play something like Freelancer again. To a certain degree when you fund a game of course you are supporting the realization of one guy’s personal vision, but that’s supposed to guide the development of something everyone can appreciate not block it with perfectionist hangups. Early backer here (of the first 4,000), this thing just lost my interest years ago. Anyway I am thankful to CR because he invited the SC community to back the Elite Dangeorus kickstarter, which has gone in a completely different and more satisfying way than SC’s. I never paid for a 100+million dollars whatever-they’re-doing-now. I backed a game that was doable and releasable in two or three years, which would start small and grow from that foundation. instead the ony thing that grew was CR’s ego and overreaching and now he’s running out of money, out of time and out of fans patience. I’m waiting patiently for the whole thing to come crashing down. I want the class action discovery phase to tell us just which island Roberts purchased and how many real space ships he got for himself. @FroggyStorm There won’t be any money left… Chapter 13 bankruptcy. This same thing went down with Freelancer apparently…. Shroud of the Avatar is the same type of scam. I want to see “Waiting for Godot” rewritten to feature a pair of heavily invested Star Citizen fans as the main characters. Something worth highlighting is that the Star Citizen subreddit is normally an incredible echochamber with most content critical of the game downvoted to oblivion. This has to be one of the first times I’ve seen critical content so universally agreed with. The echochamber is broken, CIG are going to have to pull back the curtain if they’re going to retain the past support. CIG just started giving players access to the same tentative dates and progress reports they use internally, which they announced just before CitizenCon. to be honest… not surprised… Biggest ponzy scheme ever! I really want this game to succeed. However, you are 100% right. Why wait for hell to freeze over when EVE and ED are a polished product? My advice, stop waiting and try them both; one will surely hook you in. Honestly: Neither offers what I want. I subbed to EVE when Incarna was coming, and DUST 514 is coming, because I was really excited about the super immersive scifi world they were creating. Look where we are now. No Incarna (really), and no DUST 514. No matter what Star Citizen lands at, it’s going to disappoint a lot of backers, they overpromised and will almost certainly underdeliver. But I feel like the progress they made will nonetheless move forward what people expect from a game in the future. Pardon me, sir, the Imperium Ministry of Truth has nothing to do with this. But maybe it should. A remake of Overkill, perhaps? Either the original Men at Work version, or Colin Hay’s acoustic re-arrangement? I’m thinking of Cube World right now. I am so glad I backed Elite IV. This, from the start, smelled fishy to me and I am just happy I can get my popcorn AND my entertainment. Idiots who purchase virtual ship models in a non-existing game for 2000$ deserve this. word! I have no sympathy for backers on this one. Its the best and undoubtedly largest train wreck Ive ever had the pleasure of witnessing. There no way to put a brave face on this. Star Citizen is in trouble (been that way for at least a couple of years) I just read the posting on Reddit from their backers and these people are even coming around to the same conclusion…. 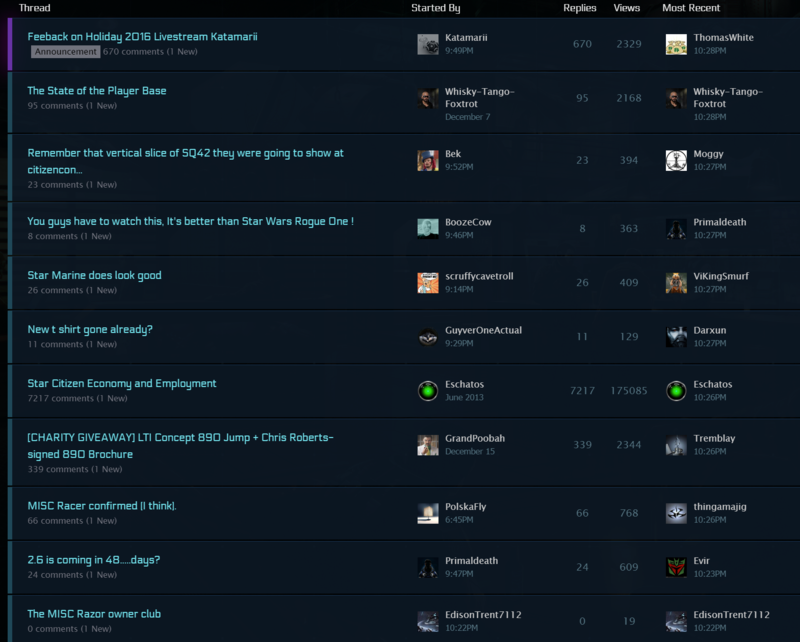 Star Citizen….maybe never. So can you tell me about the game play? I mean, real actual content. Like what quests can you do right now in the game? Or how many planets you can visit? What do you mean ‘your money’? Hehehe. DS was right! 2018 when is the game coming out? lolololol. Scam Citizen. Crytek lawsuit pending!!! Finally someone holding them accountable since the backer cultists won’t. lol care to try again? the game is still coming along really well. frame rate is through the roof. your optics seem jaded, try smiling once in a while, it will reduce your tears. This game is never, ever coming out. In their wildest dreams they wish they could be Eve Online. 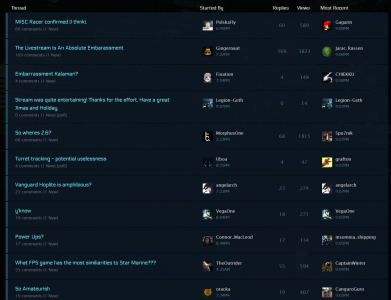 Making second eve online is very hard because this game have soo op market, economy, etc..